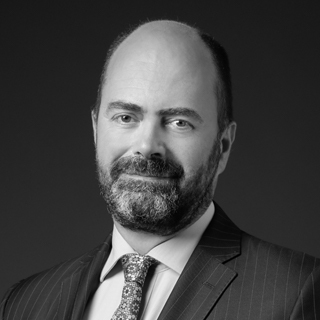 Richard Clarke is a Director at FRA’s London office. He is a chartered accountant with more than 24 years’ experience in matters involving internal audit, investigation and compliance, risk management, and governance. Richard has worked in Europe, the US and Africa. Richard has experience in working in regulated industries and providing assurance to support clients in addressing their Sarbanes Oxley (SOX) issues. Since joining FRA, Richard was involved in a long-term anti-bribery and corruption investigation for a multi-national organization in the aerospace sector. He has also worked on investigations in the medical devices and manufacturing sectors. Richard worked on a monitorship for a global investment bank, including assessment and testing of compliance controls. Richard’s previous experience is across a range of industries including regulated utilities (Veolia/Affinity Water), telecoms (Cable & Wireless and Level 3 Communications), automotive (Ford Motor Company) and oil and gas (Shell). Richard has also worked as a consultant for KPMG’s Management Assurance practice and for RGP where he was Director of the UK Governance, Risk and Compliance business. Richard qualified with Ernst & Young as a chartered accountant (Institute of Chartered Accountants in England and Wales). He holds a BA (Honors) degree in Business Studies from Nottingham Trent University.